The Grange Family Medical Centre is a Port Macquarie General Practice which provides whole patient care for patients and their families. We provide medical care from birth to your twilight years. Our five doctors boast a rich wealth of experience that results in exceptional patient care. Family is central to the practice. All five Doctors are Port Macquarie GPs who aim to get to know their patients and to grow old with them. The Doctors are supported by a friendly team of nurses and reception staff who are dedicated to assist you in your health care needs. At The Grange Family Medical Centre Port Macquarie our doctors specialise in caring for your whole health. When your first visit The Grange Medical Centre our staff will take you through our new patient procedure, this includes filling out the registration form. This form allows us to collect all the relevant data required to enter your details into our computer system. You will require an appointment with the Nurse and the Doctor. Please bring in any relevant medical information, including a list of current medications. Please inform the reception staff if you would like to register for the “My Health record” or if you already are registered and have a current “My Health Record”. If you have any questions about this please ask our friendly reception team. Please phone 02 6584 5244 to arrange an appointment Every effort will be made to accommodate your preferred time and GP. You can also book your appointment online through the website or the Health Engine App. Just select the doctor and date you want. We are proud to aid indigenous health and ask you to provide us with information that will assist with the planning of appropriate healthcare. Please tell us if you would like culture and ethnicity details recorded on your patient file. Your medical record is a confidential document. It is the policy of this practice to maintain the security of personal health information at all times and to ensure that the information is only available to authorised members of staff. We abide by the Australian Privacy Principles and follow the RACGP Code of Practice for the management of health information in medical practices. A copy is available from reception. To ensure privacy compliance and confidentiality of medical information, specific test results and other information are not given out via telephone. If you have a problem, we would like to hear about it as soon as possible so it can be corrected promptly. Please feel free to talk to your doctor, nurse or front reception staff. We invite patients to let us know their views of our practice and how it may be improved. You may prefer to write to us, or use our “suggestions box”. • In an emergency please call 000 without delay. For existing patients who require an after hours visit, please call 0487 409 648 – A fee of $250 is payable for this service regardless of concession status. 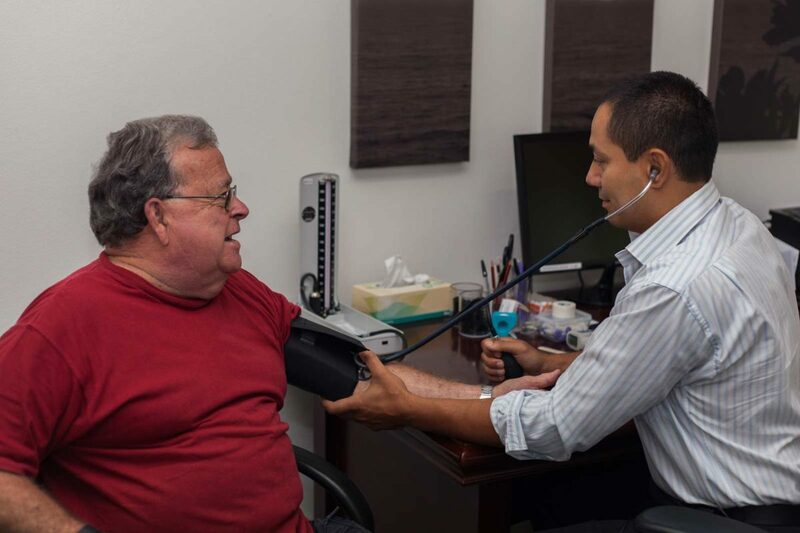 Our GPs and Practice staff rely on a patient’s English speaking family members or friends. If not available or not appropriate, an interpreter service can be arranged by phoning 1300 131 450. Disabled parking is available and located at the front and rear of the building.